When the daytime high temps drop to the low 50's, you should start adjusting your mower down a notch, and by your last cutting the lawn should be cut to 2 inches in height. This is very important for your lawn during the winter months. The shorter mowing height helps the grass plant roots survive winter stress. A shorter grass plant does not have to be fed as much and will green up faster in the spring. Spring clean-up will also be easier with short grass. It will also help prevent fungus and disease such as Snow Mold. Snow Mold occurs when taller grass blades bend and hold moisture in. 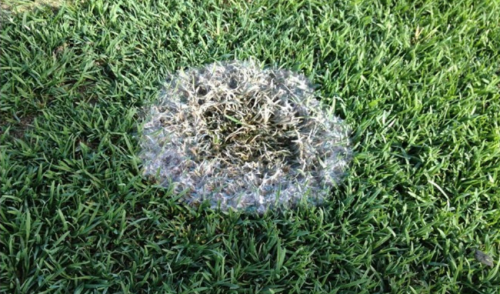 Moisture evaporates more quickly on shorter grass. It is important to try to keep leaves off the lawn for this reason as well. Mow the lawn when the grass is dry. You will have a more even cut and the clippings will not clump up. Do not leave anything standing on the grass such as lawn furniture, toys, etc. over the winter. This will cause dead spots in your lawn.